Each music submission becomes the property of WGTS 91.9 and will not be returned, whether or not it is added to the station’s playlist. We cannot and will not accept payment for airplay of any kind. This practice is considered payola and is illegal. 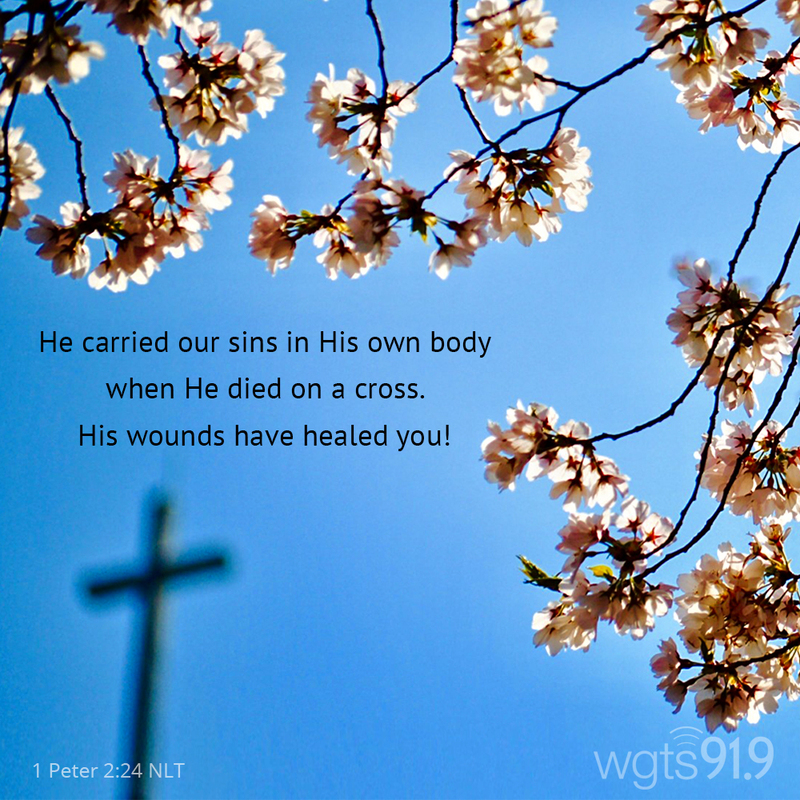 WGTS 91.9 only plays Christian music delivered in a high-quality digital format such as CD's, or in HD format from online services like PlayMPE. We cannot accept mp3's or YouTube videos as a music submission. We do not review entire albums, only singled songs. This means, choose the one song you feel will fit our format (Adult Contemporary) the best for us to consider. Because of the high volume of music that comes in for review, we will NOT be able to contact you if we are not able to play your music submission, NOR can we provide you with a critique or feedback. We will contact you if your song will be added into rotation. If a song makes the format/technical/production cut, it then goes up against all the other songs currently being considered for airplay on WGTS 91.9. The station generally adds 1 new song each week, and usually has several dozen songs under consideration each week. If a song is not added with 6-8 weeks, it probably won’t be. Songs are not added to the WGTS 91.9 playlist unless we intend to play them for a long time--that they are legitimate "hits." Songs are never added to promote an upcoming concert or event. Thank you for your interest in WGTS 91.9. The input and ministry of Christian Artists have blessed us. We have done our part to bolster local Christian Ministries of all kinds, particularly those that are making a significant impact in the community. We support them by announcing upcoming concerts on the air and on our website through out Public Service Announcement program. (see FAQ’s about PSA’s for more info). What are the criteria for independent artists being played on WGTS 91.9? Quality. We have a responsibility to our listeners to play the best written, best produced, most ministry laden songs and artists, regardless of whether they are local or national, independent or major label. Authenticity. Artists who are having an impact on our community though local shows, participation with churches and other Christian organizations are some of those we look for because we want to encourage true community involvement so that Christ can be glorified in the local body. Christian Walk. While we are not the “Spiritual Police,” we are concerned about artists’ individual walks with the Lord. In this way, we are concerned by the messages in the songs and the overall live and recorded presentation. Fit. Does it fit WGTS 91.9? Is the music style and lyrical content consistent with WGTS 91.9’s sound as determined by the staff of WGTS 91.9, based on input from listeners? We listen to everything and love to play every sincere artist and feel badly when we cannot. We are a small staff that is doing some pretty amazing things by God’s grace. We are not able to return all calls or all mail, but we do the best we can. Each week we have to choose from many new songs (75-100) with only 1-2 open slots. Local artists are vying for the same airtime that national artists are, and there are more artists (national and local) than we can fit in. Those slots of airtime are at a premium. Our responsibility is to our listeners. We attempt to always keep their listening habits in mind when making choices. We music test through focus groups, questionnaires, listeners’ choice, the hotline, and request feedback. We feel this gives us a pretty accurate view of what WGTS 91.9 listeners want. If WGTS 91.9 decides not to play your Christian music, please keep these few things in mind. WGTS 91.9 is not the be all and end all. If you feel God is directing you to be involved in music ministry, do not let WGTS 91.9’s approval or disapproval dissuade you from your task. If WGTS 91.9 has decided not to play your music now, keep at it and keep us informed. Keep sending us stuff as you and we progress and mature. Possibly we will play your music in the future. Please be patient with us. We receive tons of music from everywhere. We can’t play all of it. We pray and ask God to give us the wisdom to help us be selective. If you are not already, get involved in the local Christian Music Scene. Attend concerts by other local Christian artists. Get to know other local artists and pray for and encourage them. This network is invaluable and this growing body of God’s people will bless you. If you are interested in investing in the lives of WGTS 91.9 listeners, two tangible ways are to pray and support WGTS 91.9 financially. This is how WGTS 91.9 stays on the air. If you think WGTS 91.9 is wrong or in error to not play your music, pray. Please do not approach us in church or at public places to give us your music. Also do not give your music to our family members to give to us. These methods are not more likely to get the music in our hands, in fact it would be more likely to get lost in the shuffle. Mail your selected single to WGTS 91.9, Program Director, 7600 Flower Ave, Takoma Park, MD 20912. The hardest thing for us to do is turn down a song to add to our playlist. We understand a lot effort, prayer, and financial resources have gone into each submission. However, we do have to make tough choices, and sometimes the recording or the writing or the performance just does not reach WGTS 91.9’s audience. Music is very personal. When you are an artist or a performer it is like your baby. Please understand that if we do not play your song, it does not mean that you are not good enough, or that the Lord can’t use you. It just may be that your song is not the right fit for WGTS 91.9 at this time. Thank you for taking the time to read this and may God Bless you as you serve Him. A link to download or listen to your song.